Tasmania’s population growth is a “runaway train”, with health services and roads struggling to cope with increasing demand, planning expert Irene Duckett says. Ms Duckett, who is president of the Tasmanian branch of Australia’s Planning Institute, called on all three levels of government to look at more integrated planning for increased population growth in the state, which is on track to meet the Government’s 650,000 target nine years ahead of the planned 2050 date. The warning came after the Federal Government announced plans to force migrants into regional areas to ease congestion issues in the major population centres such as Sydney and Melbourne. But without appropriate forward planning, Ms Duckett said, Tasmania would face similar problems, with its already strained health, housing and transport sectors coming under even more pressure. “If we increase the number of overseas migrants coming to Tasmania, if they’re not redirected or planned for in particular areas, we’re going to see massive growth happening in Hobart at a much faster rate than anywhere else,” she said. Ms Duckett said overseas migrants tended to move to cities such as Hobart and Launceston in search of jobs, while interstate migrants gravitated toward coastal areas where there were limited services to support them. She said about 2,200 interstate and 2,200 overseas migrants came to Tasmania each year, with a natural population growth rate of 800. 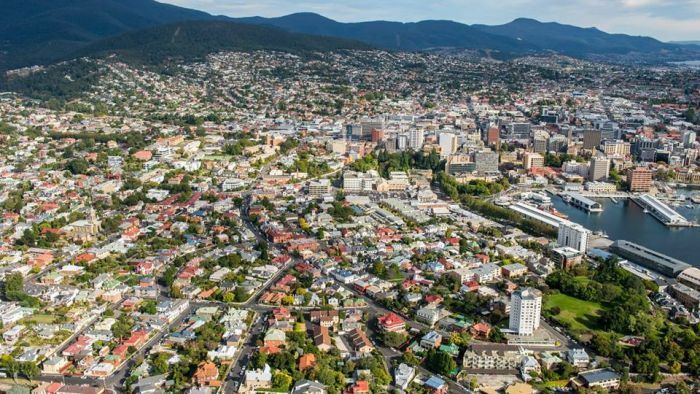 Three years ago, the Tasmanian Government announced a target to increase the state’s population to 650,000 by 2050, with an objective of driving economic growth, creating jobs and improving the standard of living. Recently, the state has faced a housing crisis with extremely low vacancy rates and dramatic increases in rental prices. In addition, the Royal Hobart Hospital and Launceston General Hospital emergency departments have struggled to cope with demand, and traffic congestion issues were felt in Hobart. Ms Duckett said Tasmania’s growth strategies were developed based on population growth forecasts from 2010, but actual growth had outstripped the forecasted figures. “We have a regional land use strategy that deals with a growth scenario which doesn’t anticipate this level of growth,” she said. “We need to update that growth scenario, make land available for that growth. We need to start working in a more integrated way. The issue has also sparked conversations within the Liberal Party. Senator Jonathon Duniam said this week it was incumbent on the Tasmanian Government to “get moving” to ensure adequate services were in place before any new population growth was welcomed. “So we don’t see an excessive increase in our class sizes in our schools, any extra burden on our health system, and extra congestion on our roads,” he said. Tasmanian Premier Will Hodgman said population growth was already happening but needed to be catered for. “We are seeing more people want to come to Tasmania to work, to live, our population is growing and that’s good for our economy, but it needs to be matched by government investments,” he said. Labor spokeswoman Sarah Lovell said Tasmania was already struggling to support its own population. “How can we possibly support an enormous growth in population when we can’t even provide those services to our own population?” she asked.